We've posted select manufacturing video clips designed to help Southern California manufacturers succeed in today's challenging economic environment. Our Made in CA Spring Mixer at Fullerton College on April 12th was a great success! We had nearly 40 attendees come to the Fullerton College Machine Technology Program to mix, mingle and tour the impressive facility. We'd like to thank CA State Assemblymember Sharon Quirk-Silva; Fullerton College President Greg Schulz, Ed.D. ; CMTC President & CEO James Watson; and CMTC's Advanced Robotics & Automation Practice Lead Raminder Sandhu, for their inspiring speeches to the manufacturers in attendance. We'd also like to thank Fullerton College Division Dean, Technology and Engineering, Ken Starkman; and Department Coordinator/Machine Technology Instructor Dan O'Brien, for speaking with our attendees about the program. Riverside Business Spotlight recently featured CMTC client Brenner-Fiedler for their work in helping to recruit STEM students to jobs in manufacturing. Since 1948, Brenner-Fiedler has been creating and retrofitting devices for medical, industrial, food packaging and manufacturing industries. Using a team of engineers and fabricators, they create or modify existing equipment to make the customer’s device perform better, faster and safer. CMTC is proud to have participated in Manufacturing Day 2015 and to have produced this video highlighting the importance of educating and inspiring Millennials to pursue careers in manufacturing. We would like to thank Moseys’ Production Machinists, Urban Workshop and Purple Platypus for allowing us to film their Manufacturing Day tours, and to everyone who helped with the creation of this video. 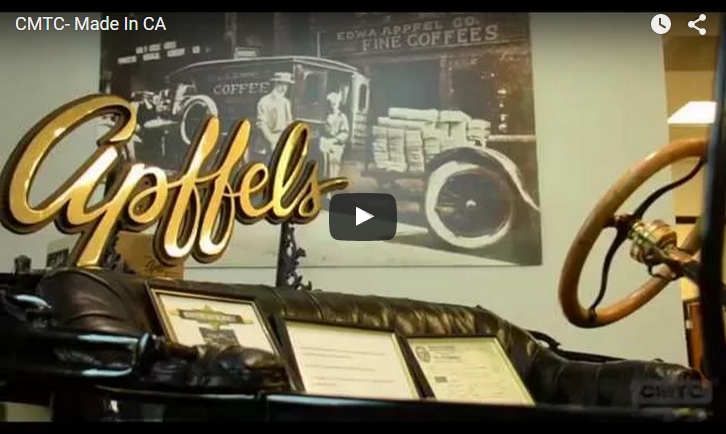 CMTC's Made in California Program invited Southern California manufacturers to attend an open house at Apffels Fine Coffees manufacturing facility in Santa Fe Springs, CA on September 17, 2015. A total of 24 attendees representing 16 companies attended the event. The Made in California Program recognizes manufacturers who produce products within the State. This is the inspiring story of a small electronics manufacturer making it in America. Through its close work with CMTC (the Southern California-based MEP Center) and participation in the Department of Commerce’s export assistance program, ExporTech, Louroe saw a 1200% increase in sales to Mexico and was awarded the Export Achievement Award by the Los Angeles Chamber of Commerce. This overview video is an overview of the services offered by CMTC and some statistics on how CMTC has helped clients. CMTC is a non-profit consulting organization solely dedicated to assisting manufacturers in So. California. CMTC's Made in California Program invited Southern California manufactures to attend an open house at Rico D'Addario's manufacturing facility in Sun Valley, CA on Oct. 24th, 2013. A total of 33 attendees representing 16 companies attended the event. 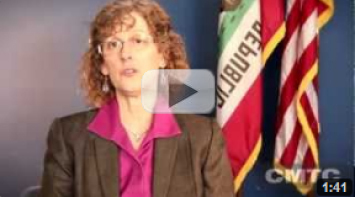 The Made in California Program recognizes manufacturers who produce products within the State. 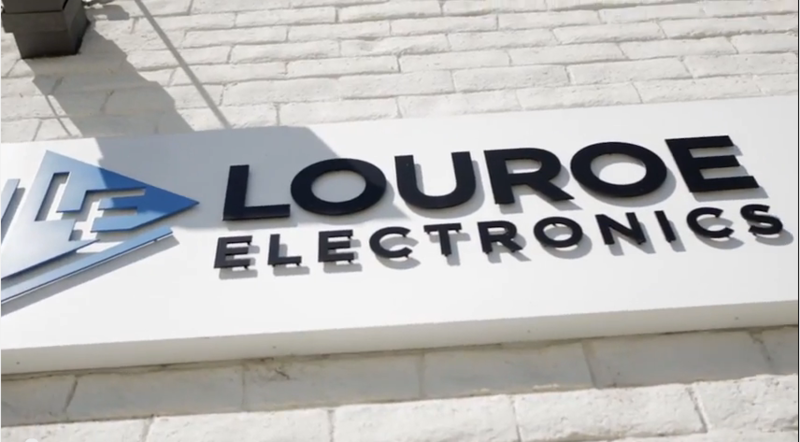 Small manufacturer Louroe Electronics experiences increased sales through exporting and enhances export efforts. After completing the CMTC ExporTech Program, Louroe increased their export efforts from 15% to 25%. Louroe Electronics works with CMTC to develop Innovation strategies to introduce new products to the marketplace. CMTC offers affordable consulting services and solutions to help your business grow and increase profitability. Manufacturers in Southern California are sitting on a gold mine – their own products. Learn how your company can benefit from CMTC's Exporting Program. Growth can be achieved by manufacturers by using several different strategies – whether through product diversification, product innovation, increased capacity, etc. Watch how these manufacturers approached growth to improve their companies. Various CMTC customers talk about their experience with CMTC and the project success they have had. Lean and AS9100. Eric Schmaranzer, Senior Director of Operations at Two Chefs on a Roll, talks about how CMTC helped with improving the company's growth and job creation. John Moore, Lean Champion at Rico Reeds, a Division of D’Addario and Company relates the progress Rico has made in the last 3 years since implementing Lean processes recommended by CMTC. Erin Dyer, Quality Control Manager for Accurate Dial, talks about a challenge which threatened their abillity to serve their customers. California Manufacturing Technology Consulting and the Verdugo Workforce Investment Board partner to create and retain local Glendale manufacturing jobs. Excerpt from CMTC's 20/20+ Program Event on reducing cost and increasing revenues in manufacturing. This clip explains specific methods for manufacturers to reduce costs (wastes), implement and sustain the change, and increase revenue through product diversification and better marketing and sales. Excerpt from CMTC’s event about reducing costs and increasing revenue. This clip focuses on the benefits of eliminating wastes from non-value added activities that have no immediate effect on customer benefits. Excerpt from CMTC’s event that addresses the importance of developing a team approach to address new projects and incorporate change management to improve those processes. Dicronite Vice President Steve Dively discusses the company’s relationship with California Manufacturing Technology Consulting and the AS9100 Rev C certification Dicronite recently received with CMTC's help. Listen to the case that this manufacturing leader makes for innovation and manufacturing careers. Also, find out how a family-owned, tooling and injection molding manufacturer in Michigan successfully handled the recession and innovated into new markets with the help of their local MEP. Click here to find out how three U.S. manufacturers achieved growth through innovation and new product development by working with their local NIST MEP affiliates. Click here to learn about the importance of NIST-MEP to the small manufacturing community and the U.S. economy. Manufacturing Extension Partnership (MEP) works with small and mid-sized U.S. manufacturers to help them create and retain jobs, increase profits, and save time and money.